I’ve written about the importance of credit scores before, especially when it comes to getting a mortgage, mentioning that you could save tens of thousands of dollars if you simply had excellent credit. Fortunately, it appears that the general public is aware of this, per a new study from credit bureau Experian. The company said some 45% of would-be home buyers (those planning to buy in the next year) are holding off until they improve their credit scores. This is a good thing because it means they’ll be able to qualify for a greater array of mortgage programs, instead of say just FHA financing, and potentially obtain a lower mortgage rate (and lower monthly payment) in the process. Still, 34% of those surveyed fret that their credit scores may hurt their ability to purchase a home. And one in five are holding off entirely for at least the next 5-10 years because of a low credit score. But instead of worrying and accepting defeat, why not take action to improve things so you can shop for a home with confidence? 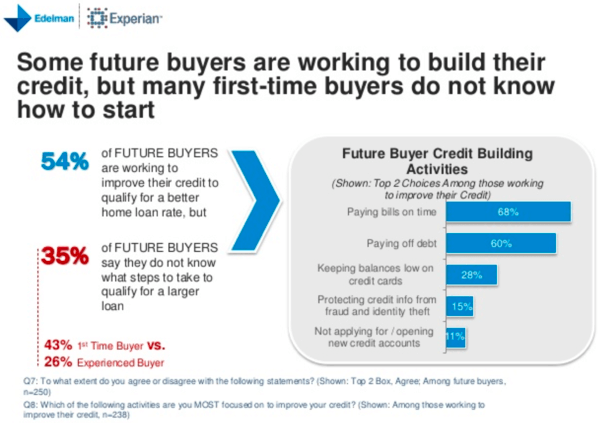 The survey found that more than half of future buyers were actively working on improving their credit before making an offer by paying off existing debt, keeping balances low, and making on-time payments. This is wise given the difference in mortgage rates for an average credit score versus an excellent credit score. Generally, you want to shoot for a FICO score north of 760 (though 740 might also do) to ensure you obtain the best pricing on both your mortgage rate and PMI, if necessary. Sure, you can still get approved for a mortgage with an average or even poor credit score, but you’ll just wind up paying a lot more interest over the years. And poor credit history is still the number one reason why individuals are denied a mortgage. If you’re unsure of how to turn things around, it’s actually pretty easy if you have the means. Assuming you’ve made timely payments on all your credit accounts but your score still isn’t where it should be, consider paying down those outstanding debts. Last month, I revealed that that my own credit score tanked after the holidays because I made a ton of purchases on my credit cards, this despite paying all the balances to zero well before the due date. The problem is that credit scores are simply a snapshot in time of your situation, and if you make a bunch of charges you could look worse off than you really are. So the easiest way to keep your credit scores elevated is to avoid as many purchases as possible before looking for a home, while also paying down any existing balances. This will certainly boost your scores. Additionally, this budgeting can help you set aside more money for the down payment, closing costs, and reserve requirements associated with a mortgage. Another biggie is to avoid opening any new credit accounts before you begin your home search. This is easy, just don’t do it. Those new credit accounts can drag your credit scores down and will likely increase your debt and take a bite out of your assets. Once your mortgage closes, you can go buy new furniture and whatever else you want. If you’ve got some late payments on your credit history, your scores will definitely be depressed. One way to resolve this is by disputing the delinquencies with the credit bureaus directly, via their own websites. You don’t have to mail in letters anymore, so this process is a lot easier. It’s possible to get negative items removed simply if the creditor(s) doesn’t respond to your dispute (even if you were still technically at fault). Once removed, your credit scores can skyrocket. The takeaway is that a low credit score shouldn’t be the sole reason why you’re not buying a home. And it’s a very fixable problem. However, it does take time for positive actions to reflect in your credit scores, so it’s never too early to start working on it. 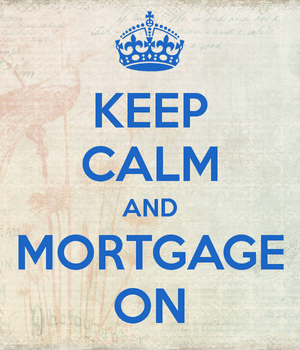 The moves you make today can save you thousands upon thousands in the way of a lower mortgage rate. In some cases, you might even be able to buy more house because less outstanding credit card debt means your DTI ratio will allow for a larger mortgage payment. Your offer will also be more competitive.